debates on various social networks. 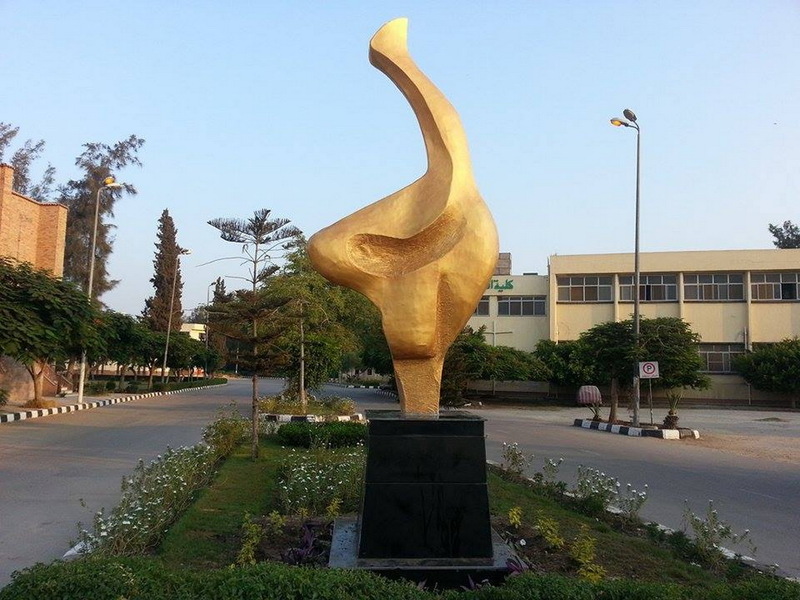 These works of art come as an essential part of the University President’s plan for creating a state–of–the–art university that articulates the university’s prestige and status. These works of art come as a step in the project of beautifying the university and as a welcome for the new academic year. 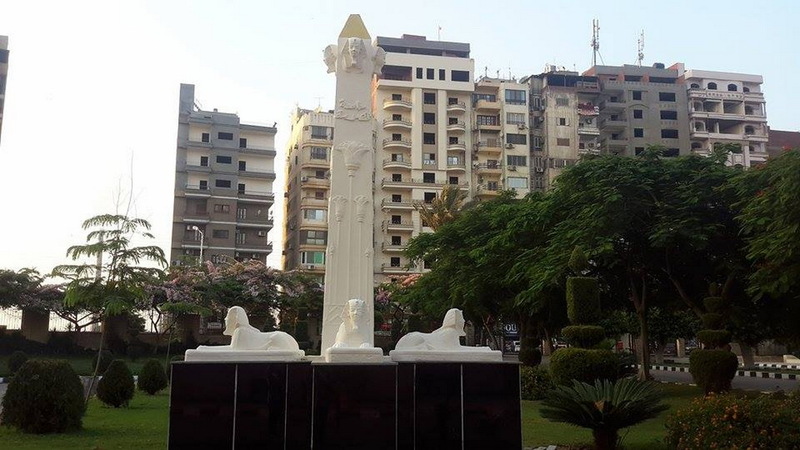 The four statues represent “The Bird of Wisdom,” “The Obelisk and the Four Lions,” “Yes, I Can”-which symbolizes the Egyptian spirit of challenge- and “Family Solidarity”. 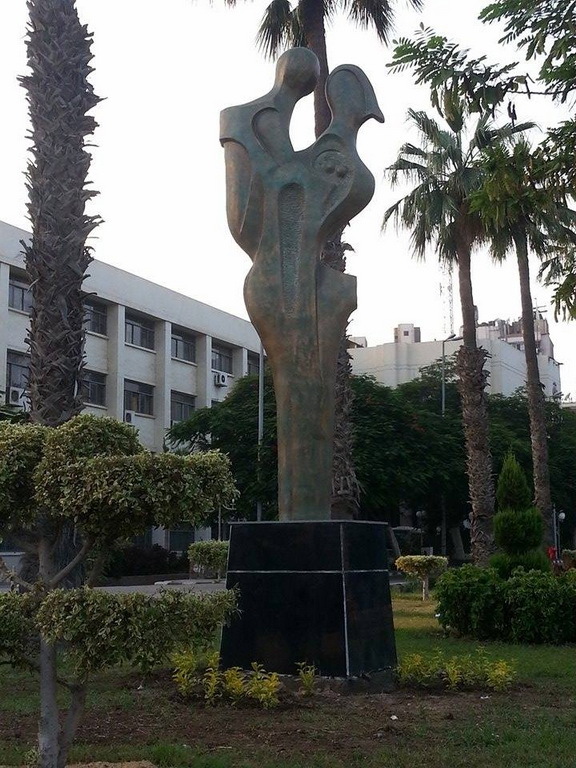 Dr. El-Shourbagy points out that the statue of “The Bird of Wisdom” is a contemporary formative work of art that symbolizes peace, wisdom, and strength. For ancient Egyptians this bird signifies wisdom, strength, and bounty. 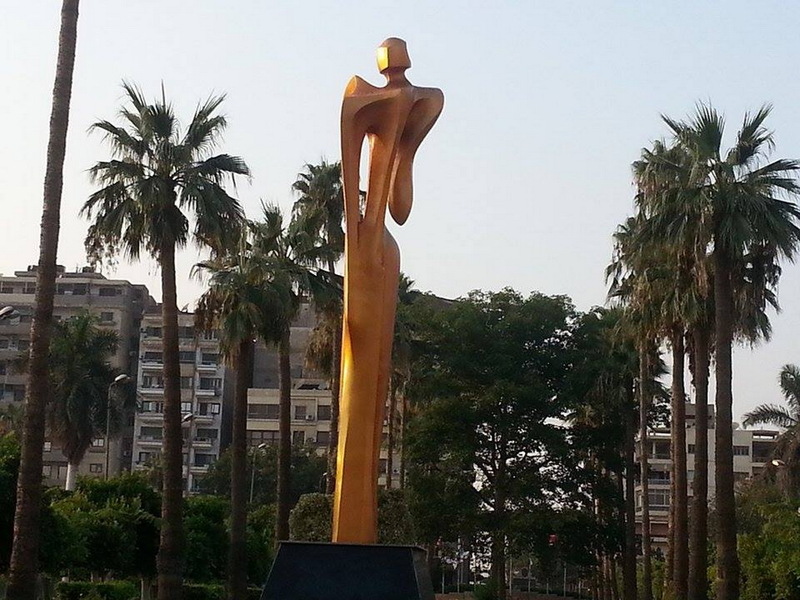 The ancient Egyptian civilization is considered a source of inspiration for the artist, consequently this manifests itself in the form of a complex sculptural work of art that demonstrates originality in the modern sense and reflects the greatness of the Egyptian civilization. 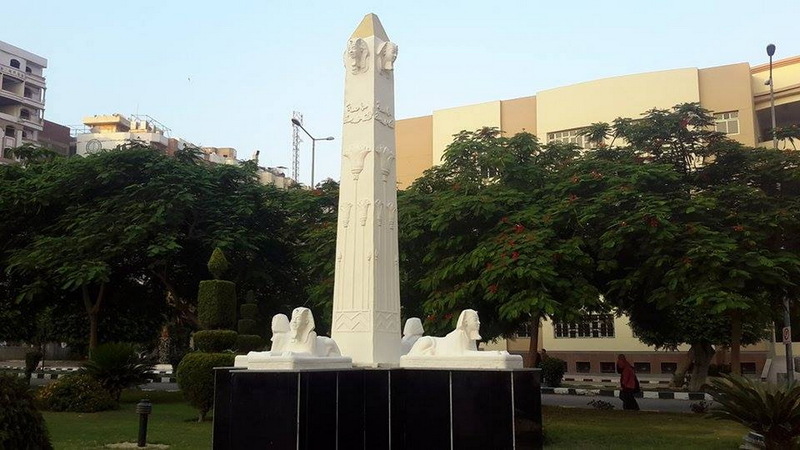 The image of the obelisk bearing the name of Mansoura University and situated above the lotus flower represents the profound role of the university in spreading knowledge and culture. 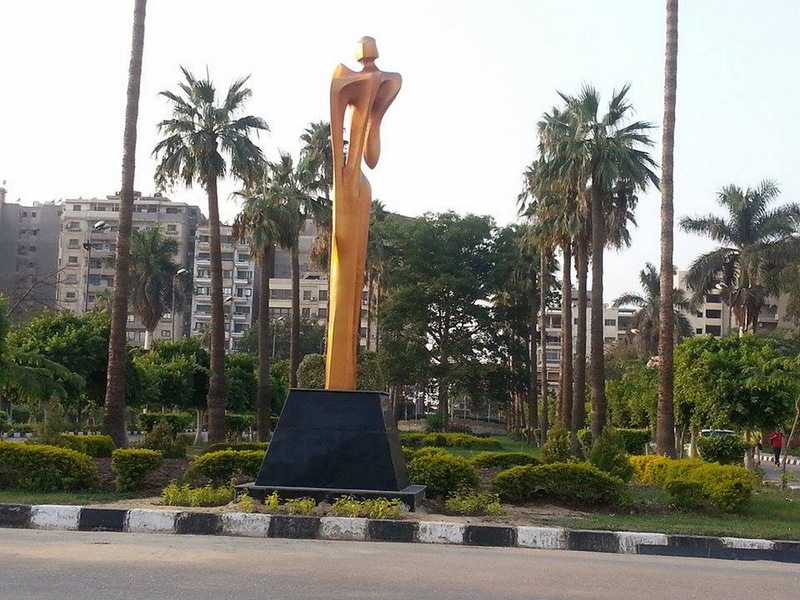 As for the four statues of the sphinx, resembling the body of a lion and the face of a human and facing the cardinal points in front of the university administration building, they represent the originality of the Egyptian civilization and the role of the university in promoting culture.